Personal development can help to retain young talent, according to BrandFuel's David Ball, speaking at ibtm world. 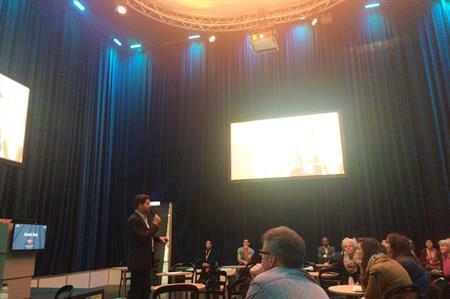 During the session, which took place today (30 December) at ibtm world, Barcelona, Ball spoke about how companies can attract and secure young talent. "Most people aim to attract and secure staff but really don’t go much further than that. We are looking for people who are learning agile and have something to offer the business. Millennials look at your character and values, what you are like as a business. We look at enriching employees and we do that in lots of different ways." Ball set out key areas of importance to young talent that included to be emotionally attached to their organisation; a more flexible approach from employers; and the opportunity for personal growth. He also advised companies to offer regular feedback so that young employees can continue to engage on a personal level with their organisation. "We do one to ones every week and full appraisals at six and twelve months. These things help keep people on track and engaged with the business," he explained. Closing his talk Ball added: "I’m keen to help young people to find a career they’re passionate about faster than they normally might. This is why we often take on school leavers and graduates."